The Fleischmann Auditorium project is estimated to cost $3 million. We have raised $2.1 million to date and we have an anonymous donor who is willing to make a donation of $500,000 this fall to complete the Auditorium Project campaign – if we can raise all the funds up to that last $500,000 by the end of the summer. Our goal is to raise $400,000 over the course of the next five months! Project work has exposed Douglas fir wall bracing used to provide shear strength before the invention of plywood. Construction begins on the iconic Fleischmann Auditorium. The building is fundamentally sound and the Museum remains committed to preserving the look and feel of the space. 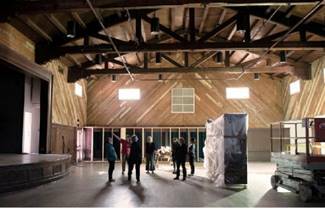 Through a top to bottom revitalization, the auditorium will have improved visitor comfort and to better functionality for its many and varied uses. On Friday, September 21, 2018, we celebrated and marked the successful culmination of twelve years of planning and hard work with a Ribbon Cutting event for staff, donors, Trustees, and community leaders. 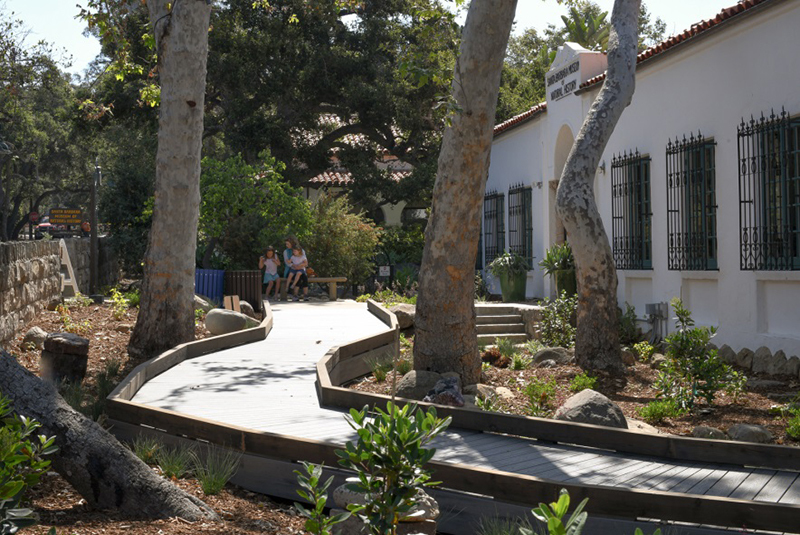 We raised $18.7 million to fund the first phase of the master plan which allowed us to make the accessibility and beautification improvements now seen across the entire campus.ork on the Sprague Butterfly Pavilion and the Museum Backyard and Nature Club House will be completed in September. A donor and her four children came together to support the building of the Tree House, located off the Nature Club House. 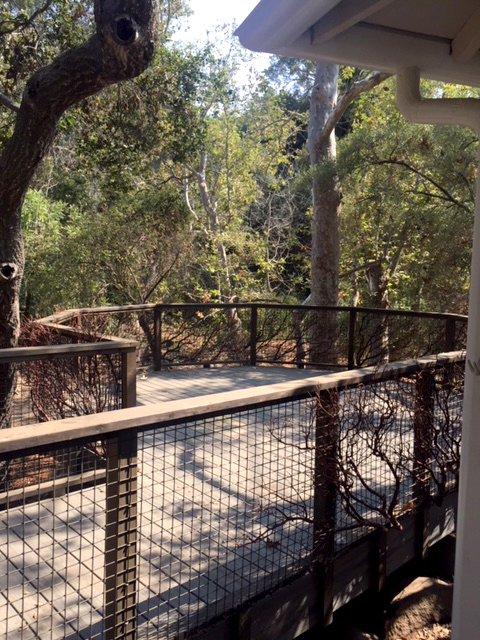 The Tree House is a nature viewing platform that allows visitors to see into the tree canopy, like you are in a nest. 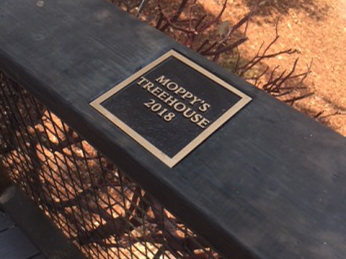 The donor’s children lovingly refer to her as Moppy and chose to recognize their support of the area as Moppy’s Tree House. 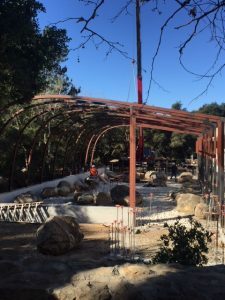 Work on the Sprague Butterfly Pavilion and the Museum Backyard and Nature Club House will be completed in September. When you visit the Museum, your walk to our front door is dramatically different. 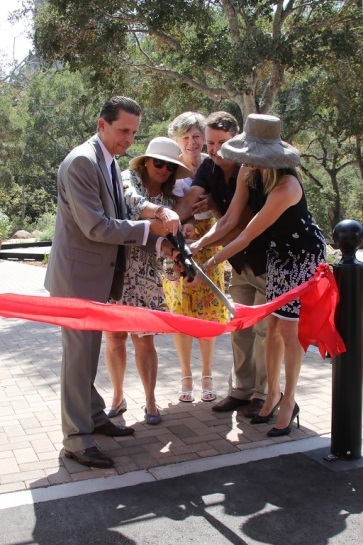 Pedestrian safe and fully accessible paths of travel have been created from both Mission Canyon Road and the parking lot. All new landscaping, boardwalks, and chance encounters with carefully placed collection items let the Museum experience begin outside the front door. 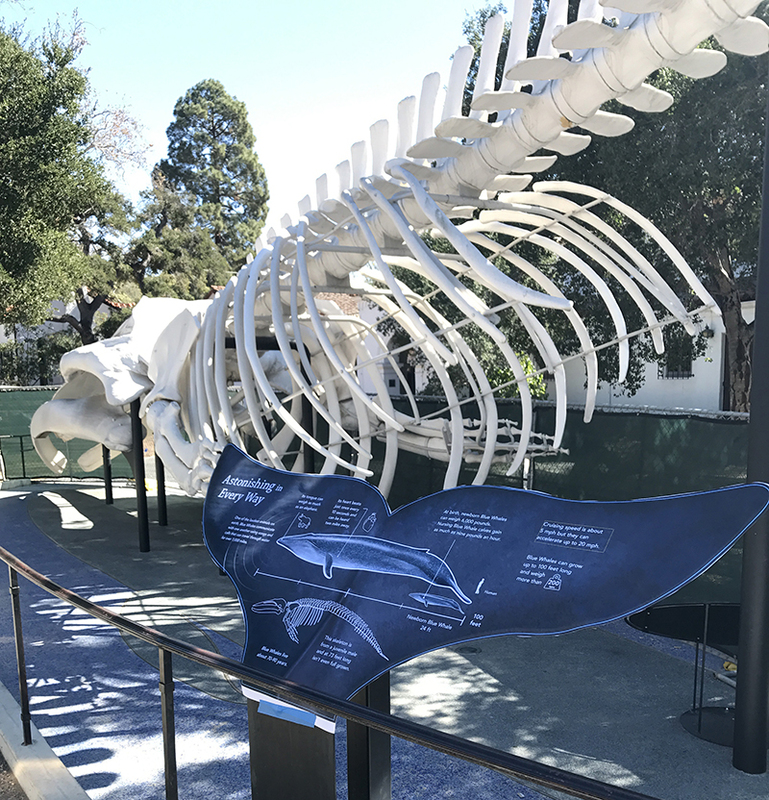 The re-landscaped Channel Islands Garden now frames Chad the Blue Whale perfectly and our new arrival plaza provides a safe and absolutely gorgeous muster area for school groups and families alike. We have met the Challenge Match! With two generous donations from local foundations totaling $250,000, we have raised $10 million toward our challenge, and that is being matched with a $5 million donation! We have now raised a total of $18.5 million for the Centennial Campaign. Thank you to everyone who has made a donation to support the Centennial Campaign! 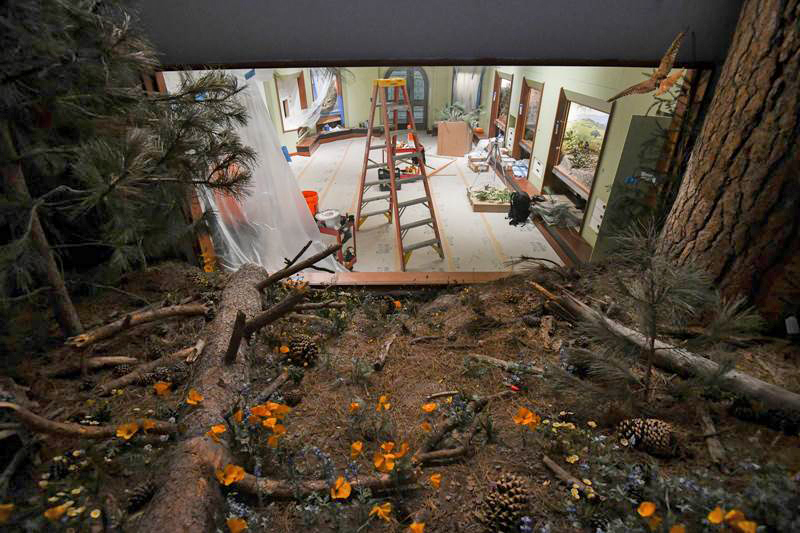 A unique view from Coastal Conifer & Wildflower Meadow diorama in the new Santa Barbara Gallery. 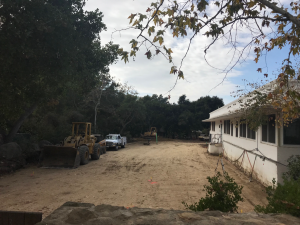 The new Puesta del Sol esplanade is underway and will be reminiscent of the original historic design that was altered over time by the City of Santa Barbara as it repaved the street. 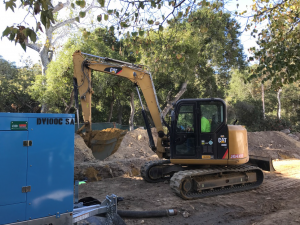 The esplanade, inspired by the historic pathway and semi-rural nature of Mission Canyon, will incorporate modern features, including an asphalt pathway and street lights. Several more donations have been made for the Centennial Campaign, and we have only $278,000 to meet the challenge match! The Butterfly Pavilion ‘ribs’ have been installed. They will be painted grey and then the stainless steel mesh will be placed to create the enclosure. We are planning for the inaugural Butterflies Alive! exhibit this summer! 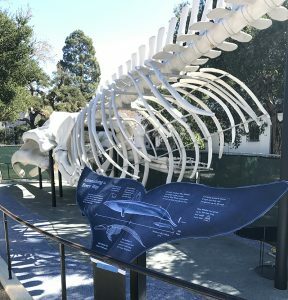 Even Chad the Blue Whale is getting improved. Here is a test of new graphics that describe Blue Whales. The Centennial Campaign is making great progress having raised over a million dollars in the last 2 months. We only have $487,000 to go to meet the challenge match. Schipper Construction and their crew have been hard at work, mostly with site preparation and demolition. The Sprague Butterfly Pavilion area had its entire footprint excavated to six feet in depth, a new sewer line replacing the old existing line was placed, all the earth sifted of boulders (800 tons of rocks and boulders), and a combination of new/old dirt put back in and compressed. The site is now ready for actual construction to commence and the footings will start to go in next week. The Museum Backyard area also had grading work completed. On the east side of the Museum campus we started work on the exterior of the exhibit halls, specifically the roof. 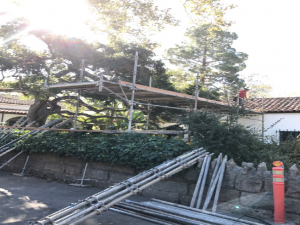 The old roof tiles were removed and the roof is being repaired. Once complete, we will reroof the halls with beautiful red tiles, maintaining the historic look and feel of the Museum. Animals in the Mammal Hall and Cartwright Hall are being removed from the dioramas and being sent to Dixon Studios in Arizona to get ‘cleaned up!’ We are also working with Prey Taxidermy to add new animals in the dioramas in both Halls. The Museum’s much anticipated Centennial Project is about to begin! 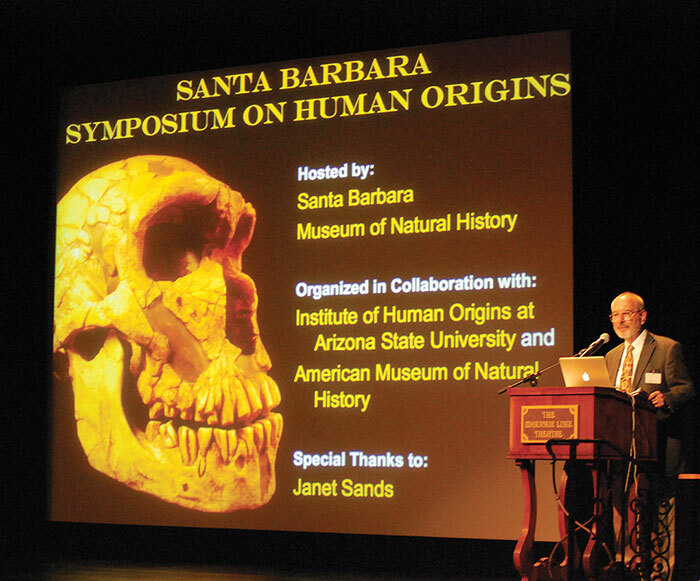 This is an exciting time at the Santa Barbara Museum of Natural History. The first week of September marks the point when key areas of the Mission Creek campus will begin to undergo an amazing revitalization. 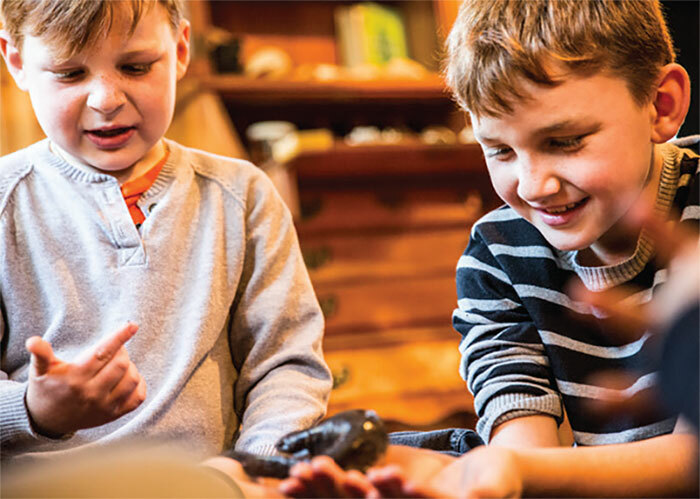 The Museum’s highly popular Backyard and Nature Clubhouse will undergo enhancements along with the creation of new program spaces starting in September. 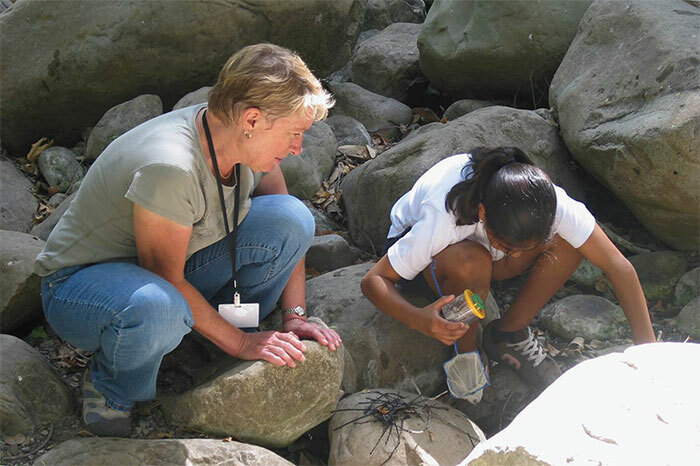 We will be opening a new outdoor nature engagement area, The Field Station- Your BaseCamp for Exploration, on the south side of Mission Creek. This will be a must visit spot while the Backyard and Nature Clubhouse are being improved. Through the recent generosity of many donors, we have raised $16.45 million toward our $18.4 million goal. We are grateful to all the donors to the Centennial Campaign listed here. The Centennial Campaign raised more than $2 million in 2016, bringing our total raised-to-date to $15.9 million. The Campaign Cabinet of volunteers is working hard to meet the goal of $18.3 million by the summer. We are thrilled to announce that recently the family of Norman F. Sprague III chose to name the new Pavilion in his honor. Norm was a truly respected and highly valued member of the Museum’s Board of Trustees from 1997 until his death in 2014. He served as Board Chair in 2003 and 2004 and became an Honorary Trustee in 2008. He also served as a Finance Chair, on the CEO Selection Committee, and as the Chair of the Master Planning Committee where he masterfully helped guide the Museum’s plans to their current shape. Upon hearing of the Sprague Family’s decision to name the Pavilion in honor of Norm, a number of other patrons of the Museum announced that they are making additional gifts to the Campaign in recognition of his steady leadership and steadfast belief in the Museum and its mission. This outpouring of affection and support for the Museum by his peers is an honor to Norm’s legacy of service. The Exhibits team presented the schematic design drawings at 65% to an enthusiastic group of Museum Friends and trustees. Generous Campaign supporters David and Lyn Anderson have chosen to “name” the Mammal Hall. 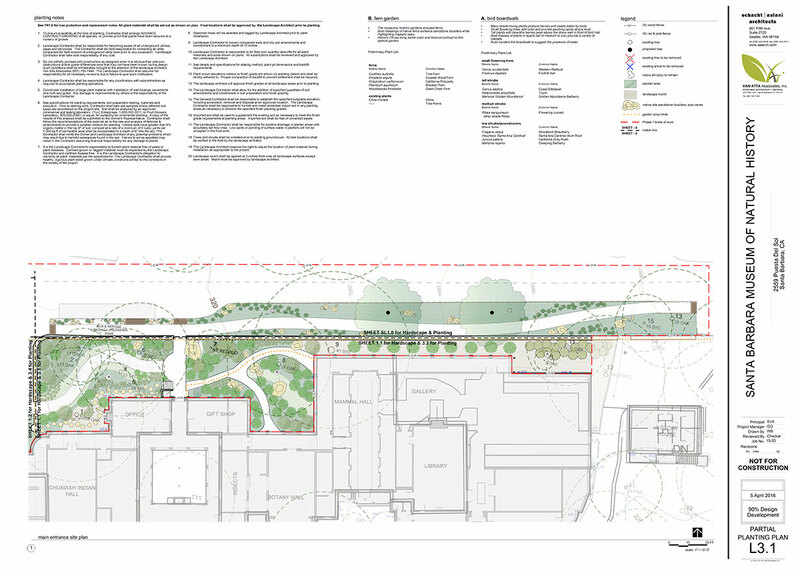 The Centennial Project, our campus wide signage work, and our lighting package were all given design approval by the Historic Landmarks Commission. We selected the exhibit design team! Gallagher & Associates, Cinnabar, and Dixon Studios will work with our exhibit team to design, renovate, and build the Mammal Hall, Bird Habitat Hall, and Santa Barbara Gallery. We continue to work closely with the City’s Historic Landmarks Commission for approval of the preliminary design, followed by the construction drawing approval process. The Centennial Campaign, led by Campaign Chair Palmer Jackson, Jr., raised more than $2.5 million in 2015, bringing our total raised-to-date to $8,648,000. In addition, an anonymous donor has offered a 1:2, $5 million challenge match and will donate $5 million when we raise an additional $10 million. The Campaign Cabinet of volunteers has already raised the first $5.3 million toward the match—our goal is to fully meet this challenge by yearend.